Get 15% discount on all items! Apply ASOS Promo Code to avail. Buy ASOS Design clothing, shoes, accessories and more on ASOS through ShopBack. Get up to 15% off discount plus cashback. Use the code WOW15 to avail the promo. ASOS terms and conditions apply. Valid for all customers. Valid until supplies last. Shop for Dresses & Jumpsuits and Get 20% off + Cashback with ASOS Promotions! Buy dresses and jumpsuits for a low price on ASOS through ShopBack. Get up to 20% off discount plus cashback. No code required. ASOS terms and conditions apply. Valid for all customers. Valid until supplies last. Men's Footwear Sale Up to 20% Discount with this ASOS Promo Voucher! Buy men's sneakers for a low price on ASOS through ShopBack. Brands like Adidas, Tommy Hilfiger, Nike and more. Get up to 20% off discount plus cashback. No code required. ASOS terms and conditions apply. Valid for all customers. Valid until supplies last. Enjoy Up to 70% off with ASOS Sale! No Promo Code Needed. Buy Women and Men's Apparel on ASOS.Get up to 70% in savings. ASOS terms and conditions apply. Valid for all customers. Valid until stocks lasts. Buy ASOS Design clothing, shoes, accessories and more on ASOS through ShopBack. Get up to 20% off discount plus cashback. No code required. ASOS terms and conditions apply. Valid for all customers. Valid until supplies last. Skincare Deals from £2.50 with ASOS Promo Coupon! Free shipping for orders £20.00 and above. Valid to all customers. ASOS terms and conditions apply. ASOS Makeup Deals from £3.00 with use of Promo Coupon! Valid to all customers. Free shipping available for orders £20.00 and above. ASOS terms and conditions apply. Shop Halloween Costumes now on ASOS! Buy Halloween costumes on ASOS through ShopBack. Get the best discounts plus cashback. No code required. ASOS terms and conditions apply. Valid for all customers. Limited time only. Buy Champion hoodies, sweatshirts, tshirts and more on ASOS. ASOS terms and conditions apply. Valid for all customers. Adidas Shoes sale on ASOS Philippines. All items are 100% authentic, direct from brands. Free shipping for orders P1360 and above. No voucher code required. Sportswear & Trainers with Up to 20% discount on this ASOS Promo! 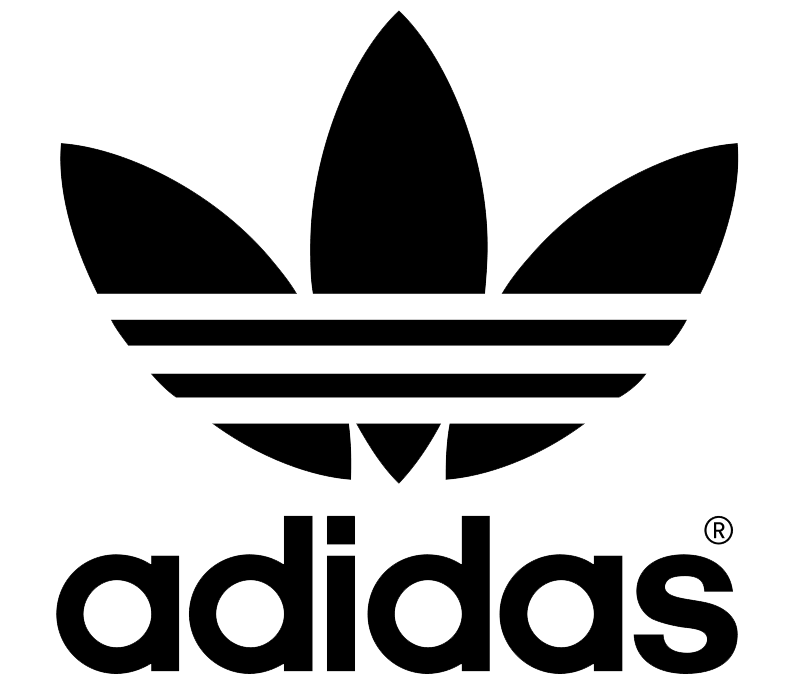 Shop for Nike, Adidas, Asics, Oakley & more of the famous sportswear names. All items are 100% authentic, direct from brands. Free shipping for orders P1360 and above. No code required. Take Up to 20% off on New Balance Shoes on ASOS. No Promo Code Required. Get 20% savings on New Balance shoes from ASOS. Free shipping for orders P1360 and above. No code required. FREE delivery for orders over £20.00, otherwise £3.00. Valid to all customers with no code required. It saves your wallet while providing you the perfect item you are longing for. Use the valid coupons from authentic sources and save during checkout. Below are few examples of the authentic deals and discounts, which are subject to change according to the time and validity. For some amazing cutting-edge designs, you can spend very less with the Asos coupons and deals. Cashback is given when you click through ShopBack to access Asos! This cashback is hard real cash which adds more perk to your original purchase along with Asos discounts and coupon codes. Follow the few examples given below, where you can click and land straight to the Asos original website for your purchase from Asos and cashback from ShopBack. The examples can change according to their valid time period. New Balance up to 20% off – free shipping for orders over P1350 and more. Get into the ASOS fashion shopping craze! The e-commerce activity of buying and selling products and online services have immensely grown over the years. It’s not just hopping different shops and purchase with cash anymore, but everything has become electronic now from the mobile commerce, e-fund transfer, internet marketing, online transaction processing, buying and selling of goods and many more. Payment options has become cashless now. Online shopping for retails sales direct to the consumers from the brands through websites, mobile apps, live chats, Chatbots and voice assistance has been a common affair. Asos is a global fashion destination and proudly stands as the hub of the fashion community. The latest fashion and trendy styles are available in Asos from all over the world. Your favorite celebrities love wearing the fashion collection from Asos. Asos is pronounced as ACE-OSS if you are wondering and was founded in 1999 with the thought of providing the customer's identical style of clothes worn by their favourite celebrities. Asos targets the 20 something group and provides the best quality products in the reasonable price range. Asos is actually the abbreviated version of AsSeenOnScreen. Asos is now the few leading e-fashion merchants in the UK, and has since extended its reach across the globe. Asos sells over 80,000 branded and self-brand products through mobile and website. They deliver from their fulfillment centers in the UK, US, Europe and China and almost every country in the world. Asos gives a unique multi-platform experience to the young people who develop their own style and are inspired, shoppers. Asos has 1,876.5m retail sales in 2017, an increase of 34% on 2016, around 1,669.0m visits in the website in 2017, 15.4m active customers in 2017 and 20.1m followers across their social media platforms, who are engaged with them every day. It is true that most of the Filipinos go through Zalora when it comes to fashion offers, though ASOS have the same wide array of fashion apparel up on their sleeves. Asos.com will take you to the bright and colourful website of clothing, which will make you feel young and vibrant no matter of your present age. The tabs are easy to follow and the ‘Men’ and ‘Women’ section can be found in three places on the first page of the website. Clothings on ASOS are available under two main tabs for ‘men’ and ‘women’. You can shop directly from Asos merchant who has their own online boutiques inside Asos website. The website is extremely easy to operate and its user-friendly features will never misguide you. The easiest thing is that you can only shop for men and women categories and sub-categories. You will be able to find the deals in the top part of the website, as you browse down, you will get the occasion wear and the trendy dresses, style feed, and other information. To purchase an item you will need to browse the item you are looking for and click on the item. Select the size and other criteria and ‘Add to shopping bag’ and the item will be added to the basket. Check everything to make sure before you purchase and then click the ‘pay now’ button. When you will pay for the product it will be purchased for you and you will be notified. Until you purchase the item, it’s not secured and can disappear from the cart with an information ‘item is currently unavailable’. So to grab the item pay for that first. Asos Philippines accepts all the major debit and credit cards and other online payment options. Customer security plays a major role, so all the cardholders should have a valid card from the authorized card issuer. The customer’s personal information is also a concern for safety for the Asos group. Asos accepts Visa, Mastercard, American Express, PayPal etc. Add discount coupon, Asos promo code or promotional offer if you have any of them and click ‘Pay Now’ button to check out. Download the Asos app on your Android or iOS and have more than 850 brands in your pocket, and buy on the go, with a lot of facilities like free delivery and easy returns. You can use the card scanner available on your phone, Apple watch or tablet and save your hard work. You will also get savings alert at your personal account. Asos will track your likings and give more of the browsed products especially for you on the recommendation page and also, the things you have browsed will be saved there. Asos app is available for the iPhone, iPhone touch, iPad, IPad mini, Android phone and Android tablet. Something went wrong with your product? Fret not - if you need to return an item you will be refunded upon authorizing your request. Asos’ customer care team is located in Hertfordshire, UK. If you want to exchange the item you have purchased regarding colour size or any other issue, you can check their general question and answer section for information. If still, you are not getting any proper answer, reach them for replacement by email. Sale items can also be refunded or returned. International customers have to return it within 28 days of your purchase of the original order. When you spend over P1500 at the Asos online website store, you can get free and guaranteed shipping to the Philippines. Pay only 200 pesos shipping orders for under P1500. Connect with Asos on All Social Media Platforms for the Latest Fashion and Saving Tips. Stay tuned for the latest deals and coupons by following social media of Asos Philippines and enjoy your shopping.